Founded in 1981 in Hollywood, California. Studio Electronics have been proudly manufacturing American-made premium quality analog synths and Class-A audio gear for over 30 years. The company’s legendary product range includes the BoomStar desktop discrete analogue synth range, the Slate Pro Audio Dragon and Fox, along with the Discrete Sound Engine Analog Synths™ ATC-X(I), Omega 8, C.O.D.E, and classic SE-1X: Their products can be found in the arsenals of leading electronic musicians the world over, including some of the biggest names in Pop, R&B, Rock, Dance/EDM and Film scoring. 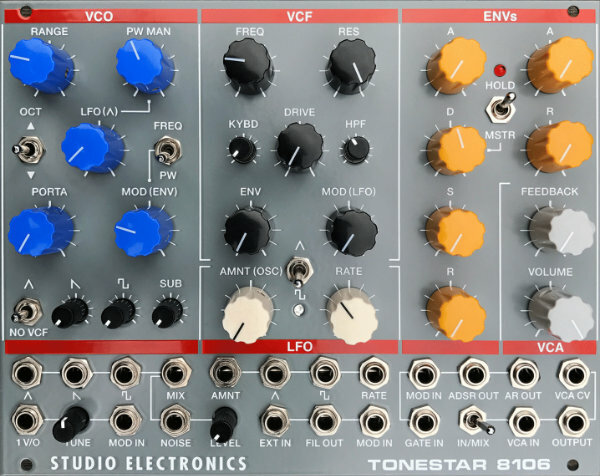 Studio Electronics continue to develop new additional products, and have applied their many years expertise to recently introduce Modstar, a highly respected full Modular Analog synthesiser system which currently includes over 20 modules, such as Tonestar, Grainy Clampit, Circles and others.